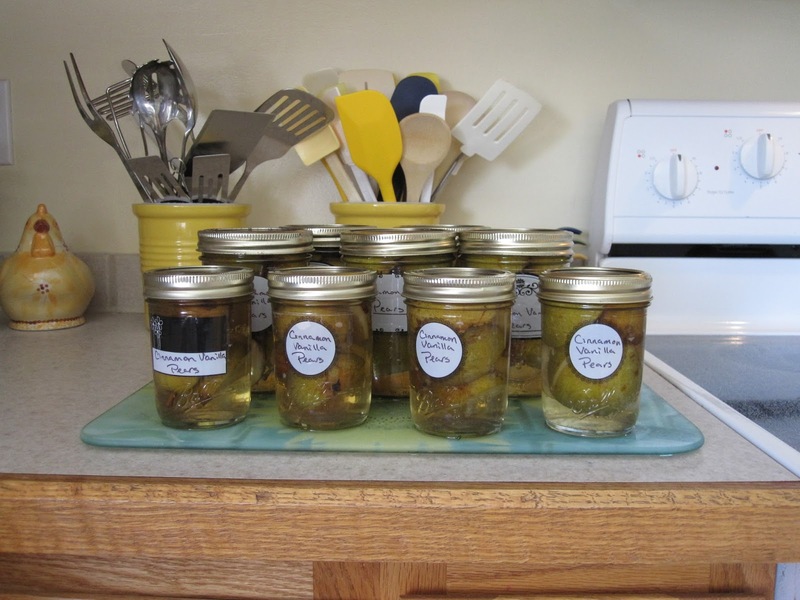 Last weekend I canned some Seckel Pears. We have three pears trees on the property. 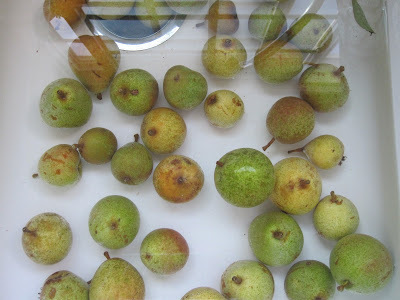 Two of the trees are close to the house and the pears had a lot of spots and wormy looking areas! The chickens have been enjoying the ones that fall on the ground! 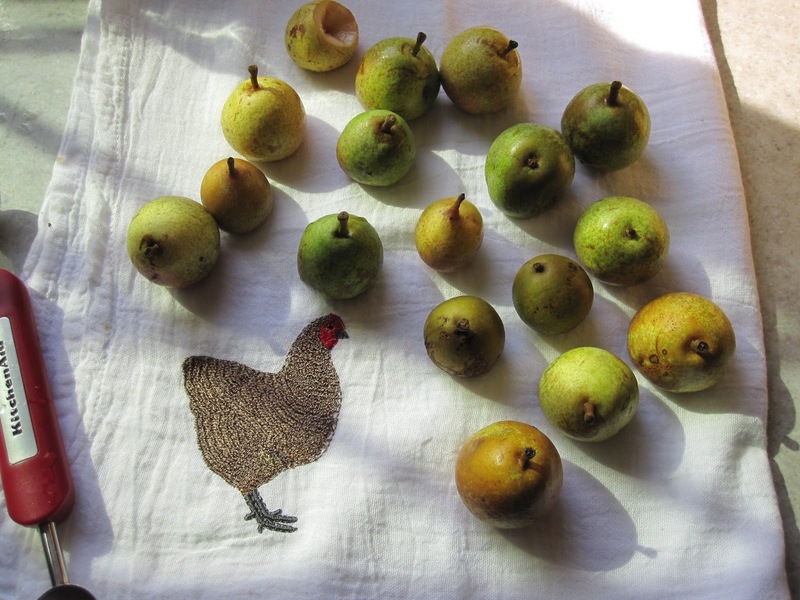 The other tree is at the edge of our property next to the field and had nice pretty little pears. My guess is that the tree got a good spraying when the crops in the field were sprayed! I found a recipe online that cans them in a cinnamon vanilla syrup! Doesn't that sound yummy! The larger pears i cut in half and scooped out the core with a melon baller. The tiny ones I just canned whole. I was able to do 5 pints and 4 half pints. I love using these shrink wrap labels I found at the hardware store. Next year I'm going to figure out how to spray the other pear and apple trees so I will have a nice crop to enjoy.